A reunion of a lifetime for a couple and the symbol of their lifetime commitment to each other was all made possible by social media and a good Samaritan. "It’s one of those things that you don’t believe the kindness of people’s hearts," Marcus Grant said. 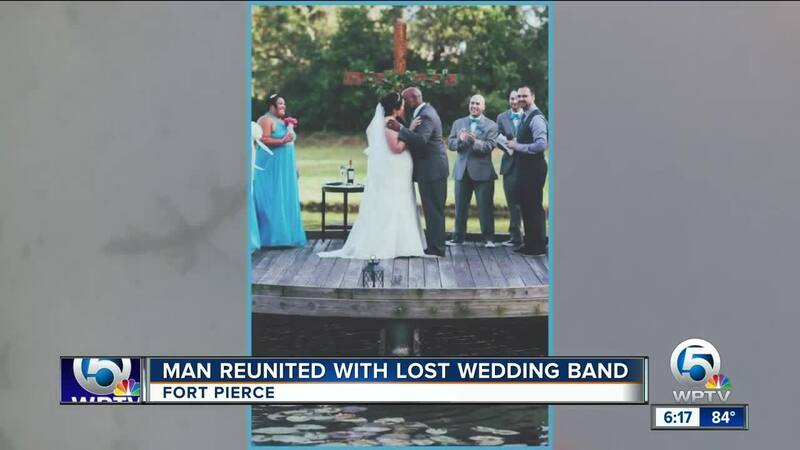 Marcus was kayaking with his family in the Fort Pierce Inlet on Sept. 23 when his wedding band slipped off his finger and fell into the water by a dock. "We were packing up and literally as I was going into my kayak, my ring slipped off of my hand," he said. "My wife and my stepdaughter came to the rescue to try to look for it." After a 15-minute search, they couldn't find it. "It was like it disappeared," his wife, Valerie, said. 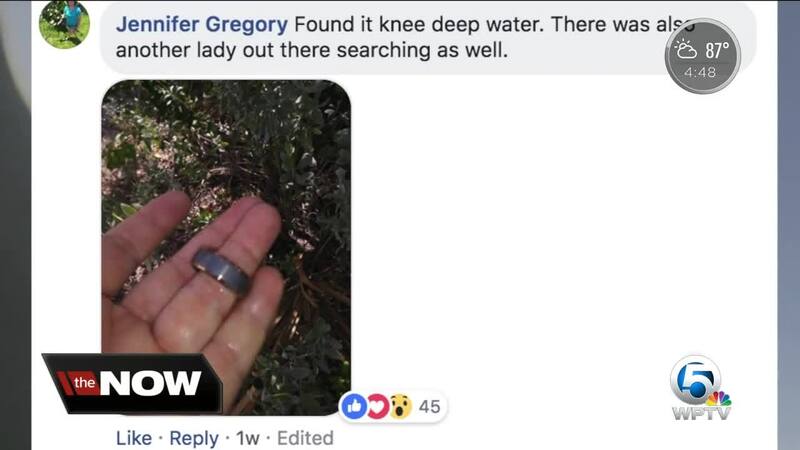 The next morning, Valerie decided to post about the lost ring on the Fort Pierce Connection Facebook group. "I put it out there and just if by some chance somebody came across it, that maybe we could have a shot at getting it back at some point," she said. "I didn’t think it would be so soon." Jennifer Gregory saw the post. She's been metal detecting since she was nine years old. "I pretty much grew up doing it," she said. Jennifer took her metal detector to the beach along the Fort Pierce Inlet and started what's called "gridding." She said another woman was out there looking for the ring too. "Just slowly going back and forth. Taking your time," she said. "Digging up every little beep that the detector makes." Hours later, she was in knee-deep water when the metal detector beeped. She was in the vicinity of where Valerie had said Marcus lost the ring. "Just by touching it, when I felt it in the sand, I knew immediately what it was," Jennifer said. She pulled out Marcus' wedding band from underneath the sand. "As a community, we’ve just got to reach out to one another," she said. "It doesn’t matter if they’re a neighbor. It doesn’t matter if they’re a stranger. Just reach out and help. It may be a simple thing like this, but to them, it was something big." Gregory delivered the ring to Valerie that afternoon. "I didn’t even know how to thank her," Valerie said. “I feel like it’s back where it belongs, definitely," Marcus said. "I’m very, very happy."